Has your garden been invaded ? Get HELP! Don’t fight the good fight alone call Weed Warriors, we are fully licensed in industrial herbicides ( unharmful the humans or the environment ). No more driveways full of weeds you have nothing to lose call us for a free consultation . We are environmentally responsible company. So if you’re having a problem with weeds we can help our weed killing services range from sparing the broad leaf weeds on your driveway to the eradication of Japanese knotweed. We also have a 2 week Lawn care maintenance service which we will guarantee your lawns to stay weed free. 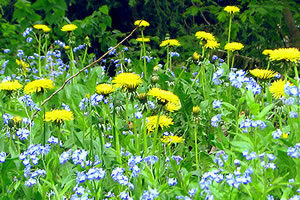 The herbicides we use will NOT harm your Lawn only killer the weeds that have grown in it. Weed Killing is an ongoing job, its a hard thing to control mother nature but here at Weed Warriors we do a good job We are all fully trained in using all Herbicides, We work by the book when using we killer and will give you a full run down on what we are doing and why.